Ready to find your calling as a coach so you can focus and excel at what you do? If so, you must have the right foundations in place. This workbook guides you though my tried and tested process for getting clear about what and who you coach and why. This means that you will be clear about your niche. You will be able to fully see and believe in the value you bring to your client’s lives. You will be able to communicate your coaching with confidence and ease. This workbook is 165 pages of inspiration, information and exercises – as used in the Foundations segment of our $2,000 top-of-the-line course: Coach Changemakers Academy. If you diligently apply yourself to this new workbook, I am confident you will indeed discover a coaching niche perfectly suited to you and a whole lot more. When you are done with the workbook, you will have the right foundations in place so that you can jump straight into creating a unified suite of your own online coaching products that make a real difference to the lives of the people you are the most suited to coach. coaching business in alignment with your authentic, true self. Empowering core beliefs around self and money. do a summary of your foundations and some product brainstorming. 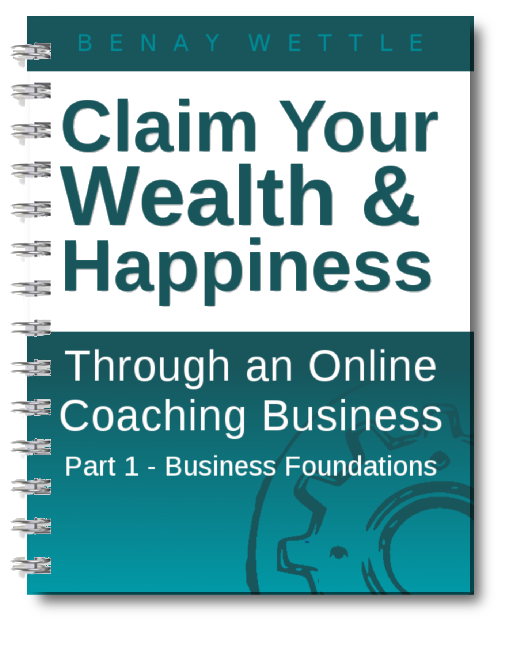 Discover your essential foundations and start building a coaching business that is both fulfilling AND financially rewarding.